The monuments of the Bend of the Boyne display longevity of settlement whose origins are found in Neolithic settlements The various monuments, particularly the great passage tomb, represent important cultural, social, artistic and scientific developments over a considerable length of time. Nowhere else in the world is found the continuity of settlement and activity associated with a megalithic cemetery such as that which exists at Brugh na Bòinne. 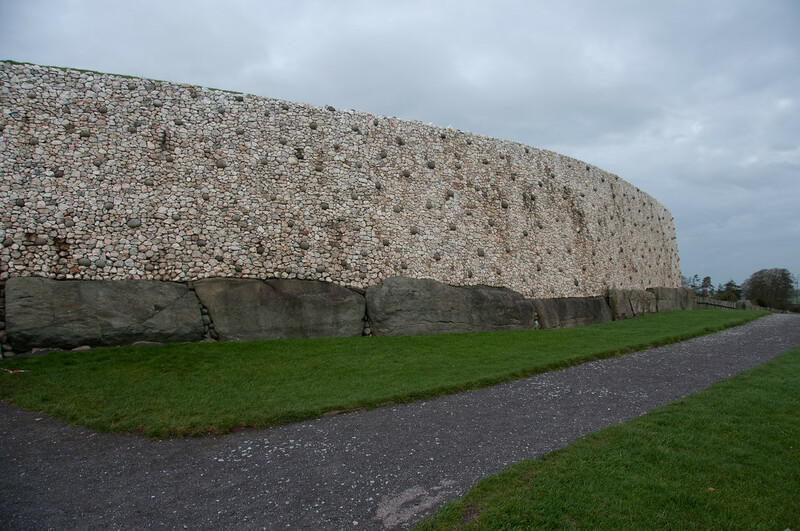 The passage tomb complex represents a spectacular survival of the embodiment of a set of ideas and beliefs of outstanding historical significance unequalled in its counterparts throughout the rest of Europe. The World Heritage site of the Bend of the Boyne (Brugh na Boìnne in Irish) covers some 780 ha and takes its name from the fact that it is defined on the south, east and west sides by the River Boyne; part of the northern boundary is formed by the River Mattock. It is essentially a ridge running east-west with three low hills on it (Dowth, Knowth and Newgrange). These three great burial mounds dominate the whole area, and are surrounded by about 40 satellite passage-graves, to constitute a great prehistoric funerary landscape. Its intense ritual significance inevitably attracted later monuments, both in protohistory and in the Christian period. The importance of the site is enhanced by the fact that the River Boyne communicates both with the Celtic Sea and the heartland of Ireland, and so it has considerable economic and political significance. The Bend of the Byone is a collection of ancient burial mounds that date back many thousands of years before the arrival of Christianity. The most interesting thing about the burial chambers is that each one points in a different astronomical direction. The one I visited, Newgrange, is aligned with where the sun rises on the winter solstice. The alignment is such that it compensates for the hills in the region. Each year there is a lottery to allow people to enter the chamber for sunrise on the solstice. The chamber can only hold about a dozen people, but over 20,000 people enter the lottery each year. There is no guarantee that winning the lotter will let you see the sun ray which enters the mound as weather conditions could prevent it. To visit the Bend of the Byone, take the train to Drogheda and from there take a taxi. Drivers should know where it is. 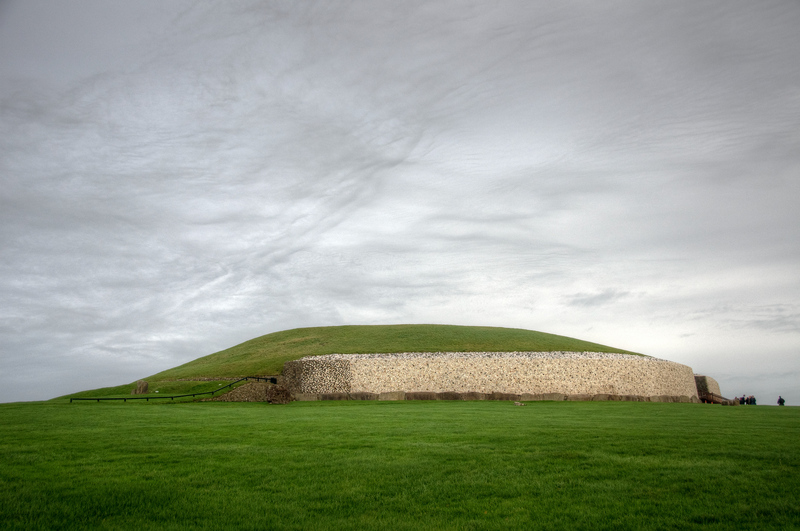 If not tell them you are going to the Newgrange visitor center. Near by is also the location of the Battle of the Byone, which was fought between Catholic King James and the Protestant King William in 1690. The Archaeological Ensemble of the Bend of the Boyn is a cultural site added to the list of UNESCO World Heritage Sites in Ireland. 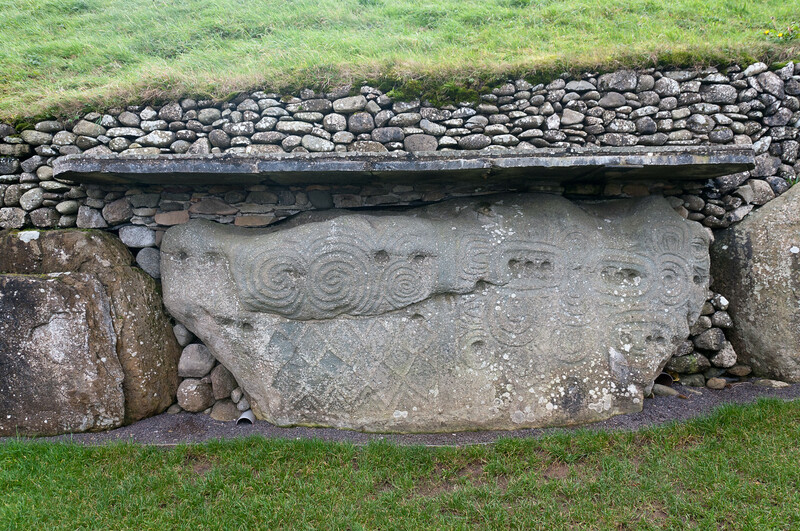 It was inscribed in 1993 and is made up of 40 burial mounds or passage tombs. Archaeologists believe that these burial mounds and tombs date back to the 3300 to 2900 BCE. Due to its artistic and cultural significance, as well as the size of the collection, it was given World Heritage status by UNESCO. To this day, it is the largest remains from the Neolithic era that was uncovered in Europe. The Archaeological Ensemble of the Bend of the Boyn is a prehistoric site located along the northern bank of River Boyne. It is located 50 kilometers to the north of Dublin. Aside from being known as burial mounds, this site is also known as the largest prehistoric megalithic art from the Neolithic era. The monuments that are found within this complex had social, religious, economic, and funerary functions to them. 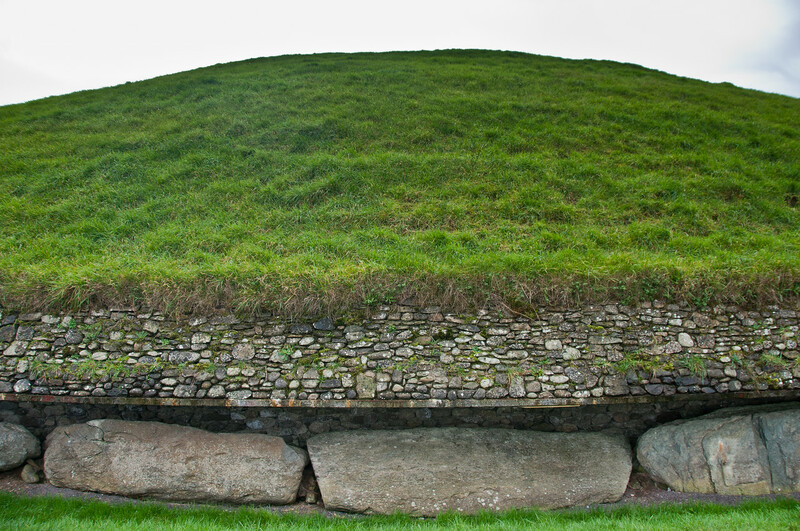 The three large burial mounds that form the Archaeological Ensemble of the Bend of the Boyn are as follows: Knowth, Dowth, and Newgrange. These sites are surrounded or composed of 40 satellite passage graves that comprise a massive funerary landscape. In addition, this landscape is also believed to hold ritual ties on the region. This area, not just the location of the burial mounds, reflects the ancient past of Ireland to a great extent. The protected area of the Archaeological Ensemble of the Bend of the Boyn spans 780 hectares in land area. As of now, there are 90 documented monuments and a few more unrecorded sites. Hence, archaeologists believe that the site is bigger than what is actually known. A buffer zone that spans up to 2,500 hectares was established in order to protect the integrity of the site. Since it was inscribed, the M1 bridge that crosses the River Boyne has had a huge impact on this property, and so did the housing developments nearby. This makes the ritual center vulnerable to various factors that could threaten its integrity. Tourists who would like to visit and explore the Archaeological Ensemble of the Bend of the Boyn, you can do so by guided tour only. You can inquire about the tour at the Visitor Centre located in Donore, County Meath. Amazing with so much greenery where any one like to go on any occasion.